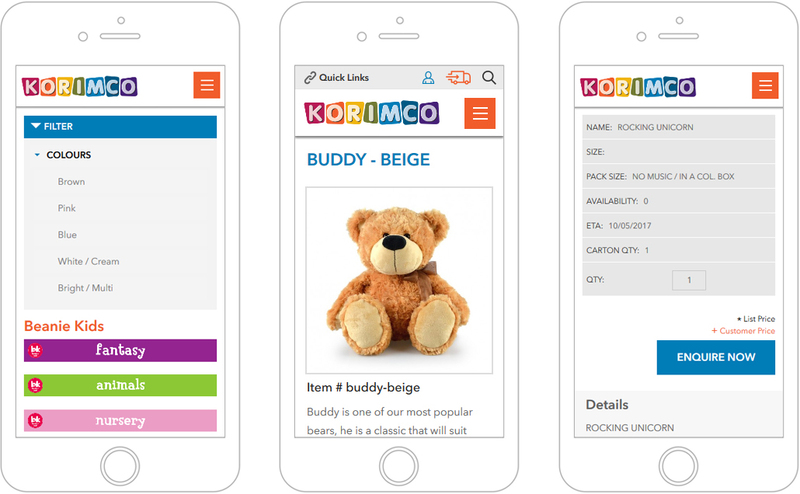 23 Digital designed a B2B Magento website that boasts beneficial features for both Korimco and its wholesale customers. 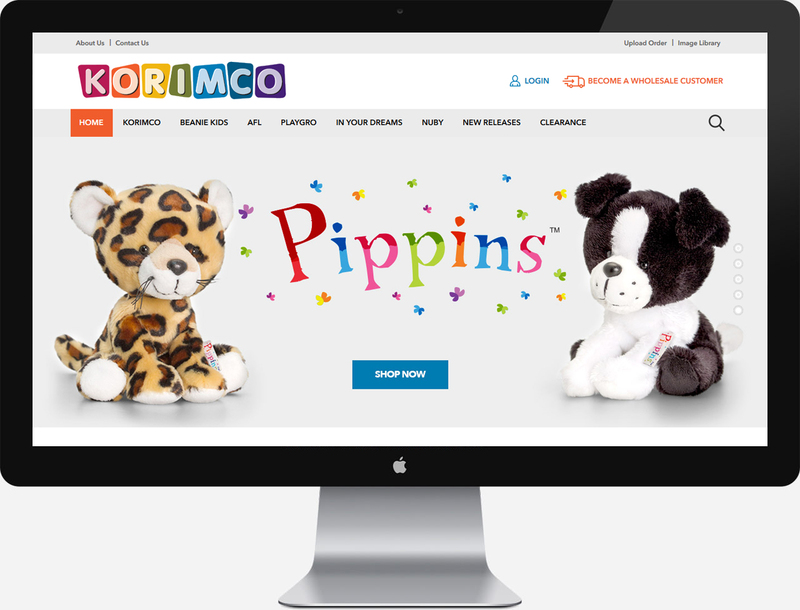 For over 20 years, Korimco has been a leading soft toy supplier in Australia. 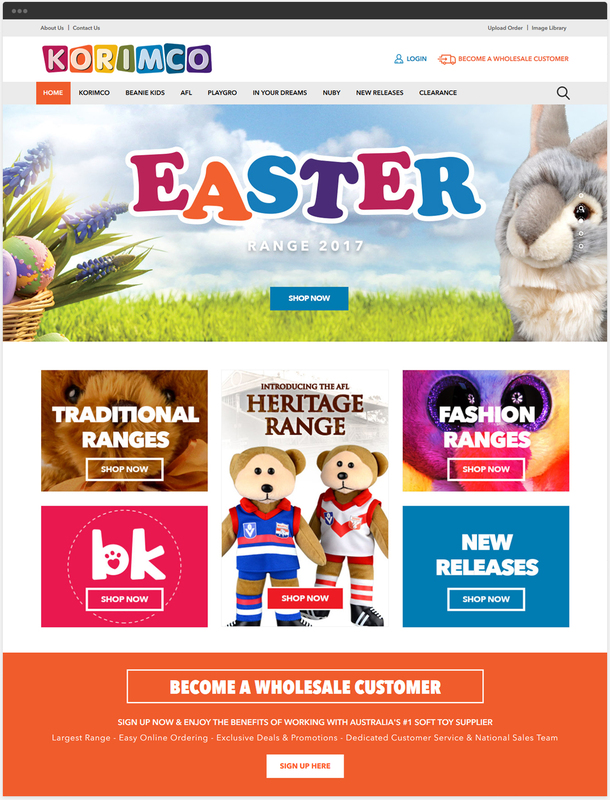 Offering a wide selection of high-quality and innovative products ranging from teddy bears through to developmental toys, the Australian owned family business is constantly expanding their range to include new offerings that are suitable for a variety of retailers. 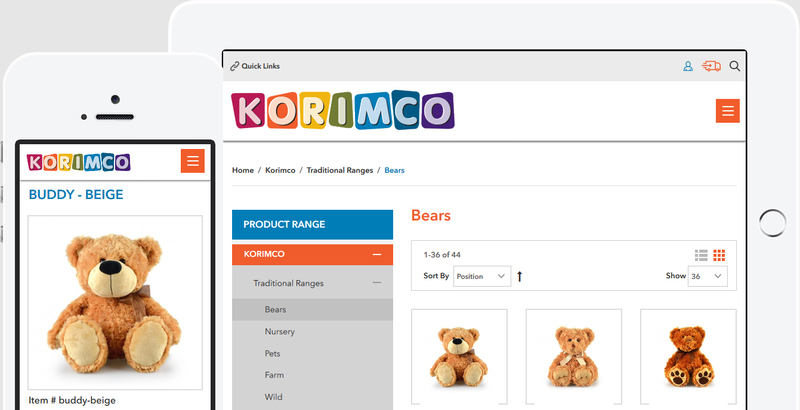 Korimco required an efficient platform for wholesale customers and trade suppliers to browse their product catalogue and place an order. To fulfil this need, 23 Digital delivered a B2B e-commerce website that’s powered by Magento. In addition to being easy to update with new products, the website also features Attaché integration that works seamlessly to automatically manage accounting.